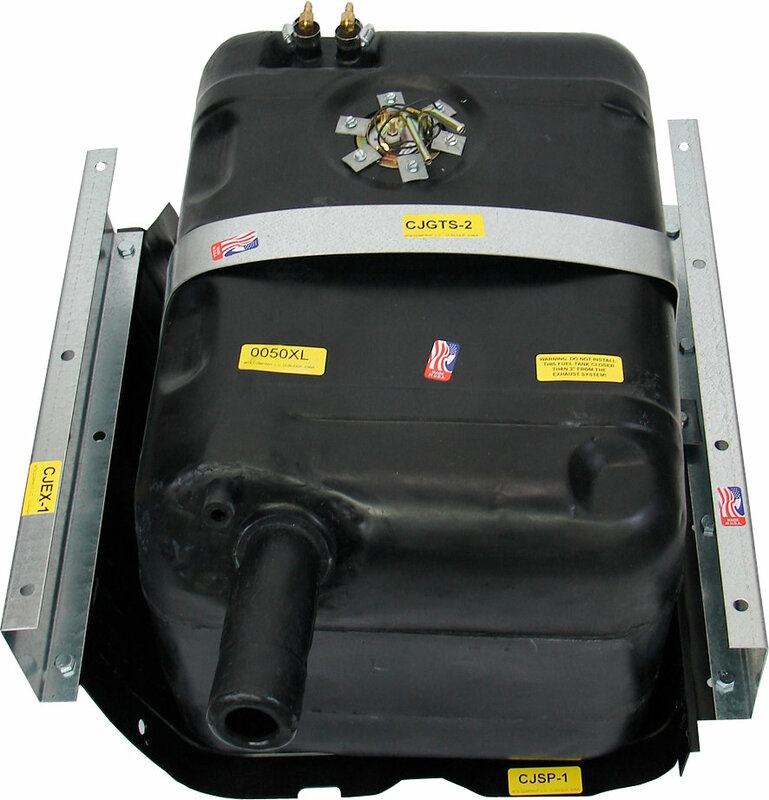 High Density Polyethylene fuel tanks are safer, lighter and very reliable. Models available for most CJ and Wrangler vehicles. 21 Gallon tank. This kit will only replace the factory 15 gallon tank, will not replace factory 20 gallon tank. Not compatible with 20 gallon skid plate. Note: Includes spacers to lower the factory 15 gallon style skid plate reducing ground clearance by 5 inches. Skid plate is sold separate. Not for Jeeps with 20 Gallon Tanks: The MTS Polyethylene 21 Gallon Fuel Tank is meant to replace 15 gallon tanks only and uses the 15 gallon filler & vent hose. The vent connection by the filler spout measures .850 instead of .750 and is only a little over an inch in length. The filler spout in several inches longer then the original tank's. What are the dimensions of this gas tank? I need to know before I buy it if it will fit properly. Also, does it come with the skid plate? This tank measures 23" x 16" x 13.5" deep. The skid plate is not included.